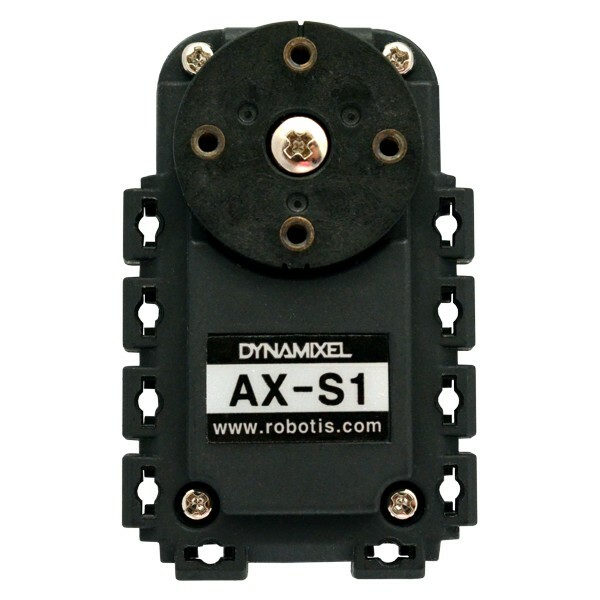 The Dynamixel AX-S1 Integrated Smart Sensor Module bundles various sensors into a Dynamixel AX series package. 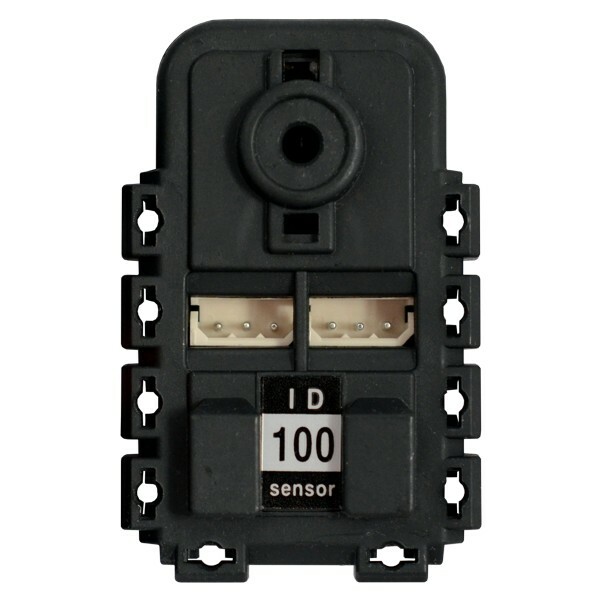 This sensor module contains a collection of sensors, an IrDA communications port and an audio buzzer. 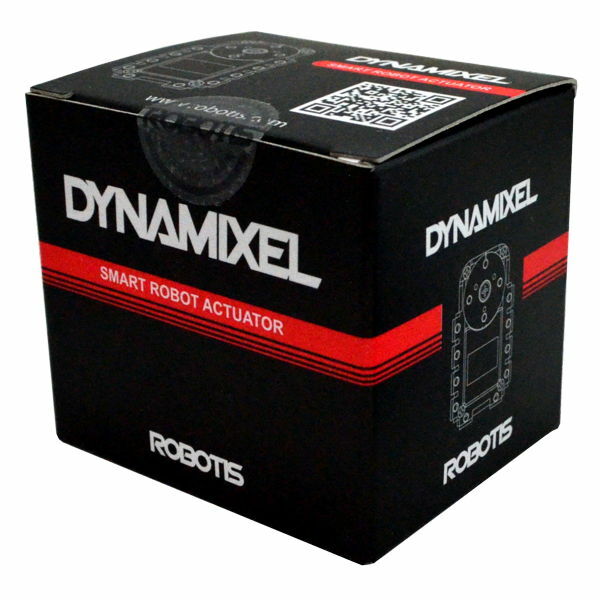 Although this sensor looks like a Dynamixel AX-12A or similar smart servo, it doesn't contain any motor at all. There are three IR Infrared reflectance sensors that can be used to detect distance. 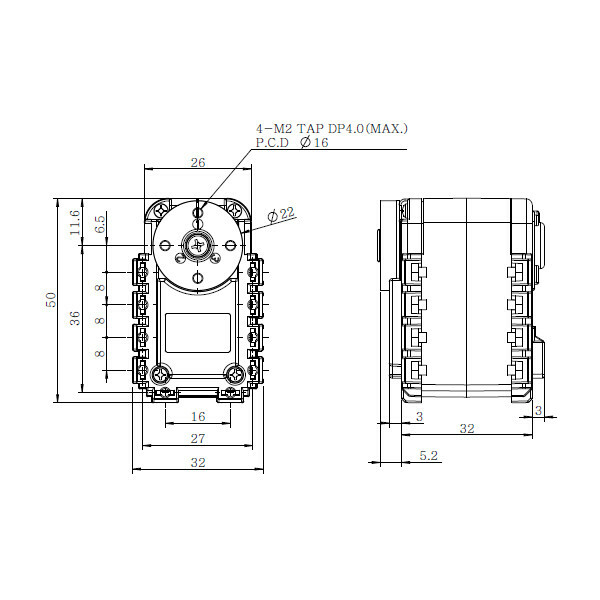 These sensors are located to the left, right and front to assist with obstacle avoidance. These sensors can also be used to detect the amount of light present. An infrared IrDA port allows communication between robots using invisible light. The module includes a microphone for sound input and a buzzer for sound output. 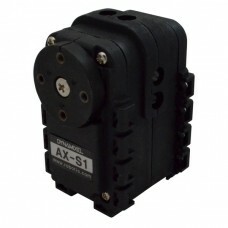 Internal temperature and voltage sensors are also included. The AX-S1 sensor module communicates over the Dynamixel serial interface and can be daisy chained into a network of Dynamixel smart servo actuators.